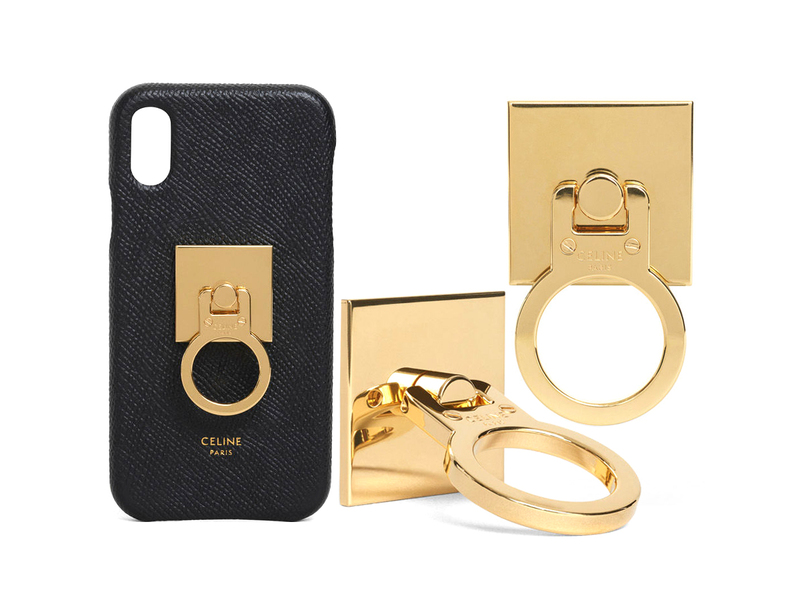 Let’s be clear, no one needs a phone ring, even if it is made entirely out of brass, but when it comes from French luxury house Celine now headed by Hedi Slimane, is it now perhaps a maybe? Added to the fact the phone rings are actually pretty functional, one that helps prevent you clumsy ones out there from always dropping and smashing your thousand dollar phone screens, it just went from a want to a need. Right? Measuring 3 cm by 3 cm, Celine’s version comes with an adhesive patch at the back which you can attach firmly onto your phone (or phone case if you prefer). The idea is that you can slip your finger through the ring for a better grip, ensuring that your phone (which can cost as much as a laptop these days) is well-secured as you go round taking all your selfies. Louis Vuitton did their very own version awhile back, though it was a flashier design that came with a monogram engraved surface. Celine’s, on the other hand, is way more subtle, rendered in a gold brass finish and finished with the subtle CELINE PARIS logo right in the middle. Set to be launched soon, this puppy will set you back by SGD365, but don’t rush down to their boutiques in Singapore as it hasn’t officially launched in stores yet.